Discussion in 'Assets and Asset Store' started by Jasper-Flick, Nov 21, 2013. @Game Whiz: The gradient popup is a Unity control - like the curve popup - and not under my control. I'd expect the same problem everywhere gradients are used, making it a Unity 4.6 bug worth reporting. Could you check that? Sure. I'll submit a bug report to Unity with your plugin, so that it's (hopefully) corrected when 4.6 comes out. @Game Whiz: It is better to provide a minimal setup to reproduce the bug. A single script with a single public gradient variable as a component on one game object should do it. Don't worry. I have dozens of successfully submitted bug reports, and the great majority of them have been reproduced by Unity's team. I should do fine . I have made a FREE version of NumberFlow available for non-commercial use. You can find it on the website. This version is built for Unity 5.0.1 and does not include most source code. Grab it and have some fun! Hi would it be possible to add vector graphics support to this tool ? If it supported SVG input nodes for example it could be used to efficiently pack and render vector graphics to use on procedural textures. It would be even more powerful if you could provide it with vector shape keyframes and then have it procedurally tween between them at run time. This tool is very powerful but a bit tricky for people to wrap there heads around. If you made it support vector masks and then made a tutorial showing how to apply some SVG text over the top of a low res bitmap and generate the texture at runtime to combine them together without losing the text resolution it would be a good example for people to see why it is useful. @IanStanbridge: It's a neat idea, but vector graphics are an entirely different cup of tea. It would boil down to first rasterizing the SVG data to an intermediate texture before NumberFlow's rasterization process could make use of it. If you have an SVG rasterizer you could hook it up to NumberFlow by means of an input texture. However, fast, efficient, and correct SVG rasterization is a big project all by itself and there currently aren't good options available for Unity in C#. Here are some procedural textures, guys. The sophisticated stuff. @davidsirmons: That is apples and oranges. Both fruit but quite different. NumberFlow is a visual editor that creates textures and runs on the CPU. You link to CG code for shaded and deformed geometry which runs on the GPU. Despite the different use cases, it's still inspirational material. I am now a user from your assert. It is fantastic. I need do a texture change in the time. I had reading some examples, and the demo "noise blend" run in time by self. How is this ? Can I get control the velocity ? Thanks for the develop this assert ! PD. : Can I get tex that modify the grown as the unity example "Normal Extrusion" ? @glunity To have a texture change with time, use a float input node in your diagram. Then have a component script set that node's value to the current time and fill the texture again each update. The demo does this, though it's a little more complicated because it uses multithreading and controls multiple diagrams and settings. You can control the change velocity by multiplying the input time by some factor, either in the diagram or in your script. If you're new to scripting, have a look at my Unity C# tutorials. Do you mean the "Normal Extrusion" surface shader example, which bloats the soldier? That is accomplished with a vertex shader that moves vertices in the direction of their normal. It uses mesh vertex data for this, not texture data. I go to tutorial. Thanks for all. I see the windows info bad. In all I create new. Before I downloaded the free version. Then I get the commercial. I am new in this system, then I am not shure where is the problem. @glunity Which Unity version are you using? Make sure you remove the free version's DLLs. I had erased all from all, I just create a new, then I import from assert. So remove the Unity 4.3 conditional. I'll push this update to the Asset Store as well. je je, very fast your reply, my friend ! I had followed your instructions. I had now installed the unity3d 4.5.1 no resolve this problem. go to assert, import all from your pack. I Go to edit the files code. I open the sample texture stone. I see all ok.
ok in other from your sample materials. I create a new material and no get the info big. It is little, as the image I send. Can be some I do wrong ? Can be I work with two monitors ? @glunity Oh you mean the output nodes? It's the same deal there, damn those conditionals. Do the same thing, but for Plugins / Editor / Catlike Coding / NumberFlow / DiagramWindowOutputNode.cs lines 80 - 82. The above changes are also in the latest version on the Asset Store by now. otherwise no material was assigned. Is that just me? BTW, I'm using unity 4.6.21. It should work fine in 4.6. I just tried it with the first release candidate, 4.6.0f1. Make sure you set the name of your output node to _MainTex. That's the texture variable name used by all Unity shaders and is what the mainTexture shorthand property refers to. @exiguous: Glad to see you're still around! You can easily use NumberFlow to make 3D textures with a little scripting, but there's no way to preview them in 3D. The big question is how that could be done in a meaningful way. 3D textures are cool, but I don't see any demand for them so it's not on the roadmap yet. If you're wonder what other texture stuff is on the roadmap: cube maps! i'm interested into the generation of 3DTexures with NumberFlow. With the release of MegaFlow there is a good use case to generate a Texture3D with NumberFlow. Any chance to get this on top of your roadmap? Maybe. I'll put it back on my to-investigate list. This is an exceptional piece of work! The editor (or maybe the entire topic) may be a bit too demanding for widespread adoption, and personally I want to get my hands dirty with actual code -- but this is really impressive and I'm enjoying playing with it a lot. Kudos. @Zellski Glad you enjoy it! Hello guys, i've been trying to follow the "get started" tutorial, but i can never have the material gain the texture, it just stays blank. I've tried twice on mac and pc, same issue. i double checked that the manager is a prefab and instanced. Is it possible this comes from unity 5? thanks! @lagagne72 It should work fine with Unity 5 and even Unity 5.2.1. Does the Gallery example work for you? Make sure that you have connected the right diagram and materials. I made a change to Perlin and Turbulence noise in version 1.2. The multi-frequency methods are now normalized so their output range is always 0 to 1, regardless of octave count, and even for Perlin noise. So you'll have to check your existing diagrams and adjust scaling and offset for noise output. Perlin noise used to have an output range of roughly -0.7 to 0.7. I normalized it to -1-1 for the single-frequency API method and adjusted the multi-frequency version to output values in the 0-1 range. I decided to change the output range of Perlin noise so all noise types now have the same range. The noise API has been moved to its own namespace, CatlikeCoding.Noise. The noise methods have been put in their own classes, PerlinNoise, ValueNoise, and VoronoiNoise. You should use these new methods and get rid of the old Math library from older versions. The noise code has also been sanitized. Now it's more maintainable and performs a bit better too. Is cubemap support available at this time? I saw that you said it was on the roadmap but haven't seen anything about it being released. @tbg10101_ No cube map support yet. I haven't found a good user-friendly way to add it yet, but I have some idea I'm going to try out soon. In version 1.2.2 I've added 2D versions of all noise types, both the API and diagram nodes. Of course this also includes 2D vector nodes to supply sample points. Of course you cannot morph 2D noise by animating the third dimension. You still need 3D noise for that. I've tried the free version just today and it's very good! I will be definitely getting the product but it doesn't come with the DLL like the free version does? I actually like to have both the source code and DLL as it fastens the compilation time. If there's no limitation in free version(as it seems), I guess I should keep using the DLL after I bought the asset? @noanoa Both versions have the same functionality, so yes you can buy the full version, get the source code, and still use the DLLs. Just don't put them both in the same project. You can also compile your own DLLs. 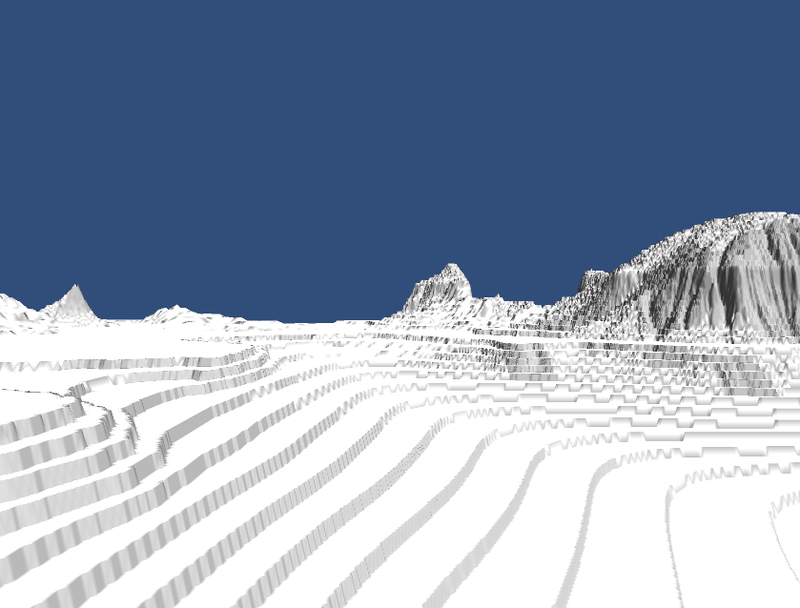 until now I used LibNoise for procedural terrain. I have tried today (free version) of your plugin, but I can't find any random operation for randomly generated noise from input values. It's very usefull for proceduraly generated data using RND or any seed fuction. Do you have plan to add this one to FlowNumbers plugin? @AndyGFX You can use sampling offsets to produce different results, as if using a 2D or 3D seed. Yes, this is a way too. and I got always white gameObject. I have same material attached to object which is added to DiagramMaterialManager. After simple debug check, I see that manager is called but texture is not saved to material. Has NumberFlow 1.2.2 something different? Technicaly I need get result from my diagram to Texture2D in my other component, which is proceduraly generated world. @AndyGFX The outlined steps should do the trick. Also, as mentioned in the getting-started document, when using materials with complex editor UIs that set keywords - like the Standard shader - you'd have to select the material so it becomes aware that it should now use textures. You can also open the Gallery example scene to see a manager in action. I finally found solution what I need. Part of my code, which works in editor and run-time too. This is a great asset. I can tell I'm going to be using this one a lot. Excellent work. I thought I would share a graph for basic sky-sphere projected clouds. This uses the spherical projection node, but I added some additional compensation with a curve on the V axis to better "place" the clouds more flatly in the sky, not "on" the dome itself. Here is the gradient I am using for this example. It is very simple. I am also animating the noise on all three axes using a named float node split into a vector that drives all three dimensions of the noise sampling equally between 0 and 1 over the course of 120 frames. This makes the clouds move through the sky AND change shape when projected. Here is a screen capture of the resultant clouds in the sky. Very basic but a decent start. Nice work! I love it when people show off their work. I've downloaded the free trial. I was interested in some animated textures seen in the Gallery and wanted to test a few things before deciding to buy the plugin or not. Except all the examples are broken :/ I've been able to create a few nodes in a new diagram, without going any further, but if I open example scenes, errors pop in the console. The only working scene is the one for noise (because it uses no diagram I guess). I've extracted a few of the thousands of errors for review. Obviously something is going wrong with the diagrams. When I try to open them, the editor window pops, empty, and can't be closed, moved or minimized (but can be resized). Errors must pop in an Update loop. I am using a mac , under 10.10.5 (Yosemite), and using Unity 5.3.1p1. @Floutre Have you set Asset Serialization mode to Force Text in Editor Settings? As these are binary assets, interpreting them as text assets will produce the errors you get. Set the mode to Mixed or Force Binary. Then you should be able to import without error. By the way, the animations in the gallery are done with shaders in combination with static (generated once) texture data. Oh right, it's on Force Text! How one creates a texture with different height levels? I'm looking for a "terrace" operator (filter?). Is it possible? @Rod Galvao You can take the 0-1 output from a noise node, multiply by N, convert to integer, convert back to float, and then divide by N. That gives you up to N terrace levels with hard transitions. Here is a screenshot of an example diagram. Another question: Is there a way to preview the result in a terrain during editor mode? @Rod Galvao I have never tried initializing a Unity terrain with a generated texture in edit mode. I'm not sure if that could work well. You could use a grid mesh with a vertex shader that samples the texture. Then you could hook its material up with the manager and get the height-field in edit mode. That's not a Unity terrain, but the only quick way I can think of now to preview a height-field mesh. UnityException: Texture 'Managed NumberFlow Diagram Texture' is not readable, the texture memory can not be accessed from scripts. You can make the texture readable in the Texture Import Settings. Since obviously the texture is procedural, there are no import settings I can adjust to correct this issue. Any thoughts?